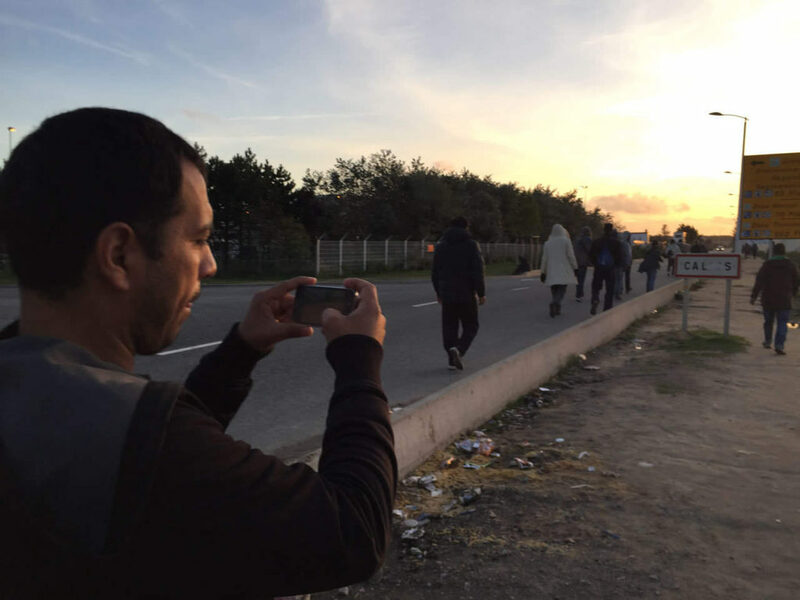 Calais SPEAKS is an ongoing project in Calais refugee camp empowering inhabitants to tell stories from the camp using mobile phones and social media. The aim is for people inside the camp to contribute to the media that portrays it. This also will help deepen our understanding of the situations of those living and passing though the camp, their needs and possible solutions going forward. The project began in September 2015. 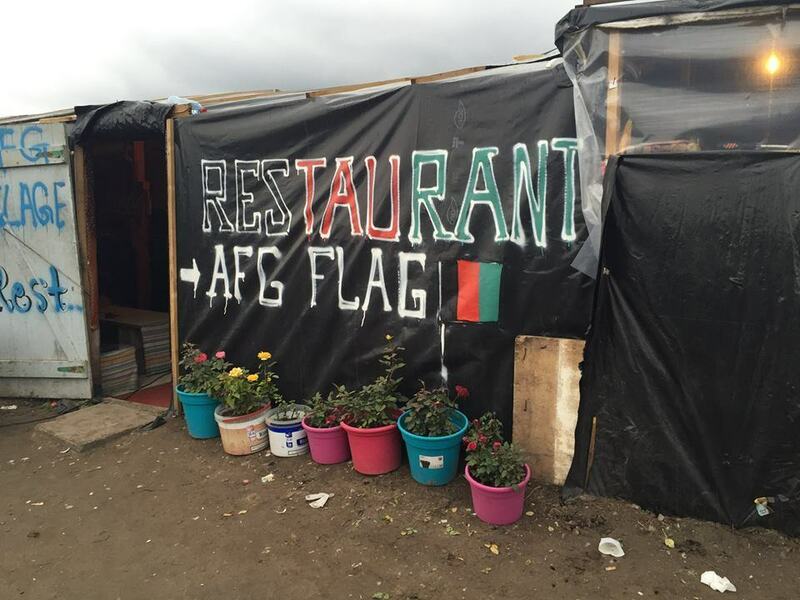 First day in Calais refugee camp, ‘The Jungle’. Tents in the process of being built, some plywood structures have become cafes and shops. Everyone is polite but the desperation seeps through. Someone dies trying to board a train or ferry every night. Yesterday a Syrian and a Sudanese man were electrocuted on the top of a train. We left at 7pm, just as the men were preparing to make their nightly attempt. Almost no one gets through these days. Instead they are arrested, held for 3 hours and, as long as they don’t make any trouble, are delivered back to the camp. They then try again the following night. Today we recruited a Chemical Engineer, an Architect and a Computer Technician onto the film programme. All fleeing conflict. 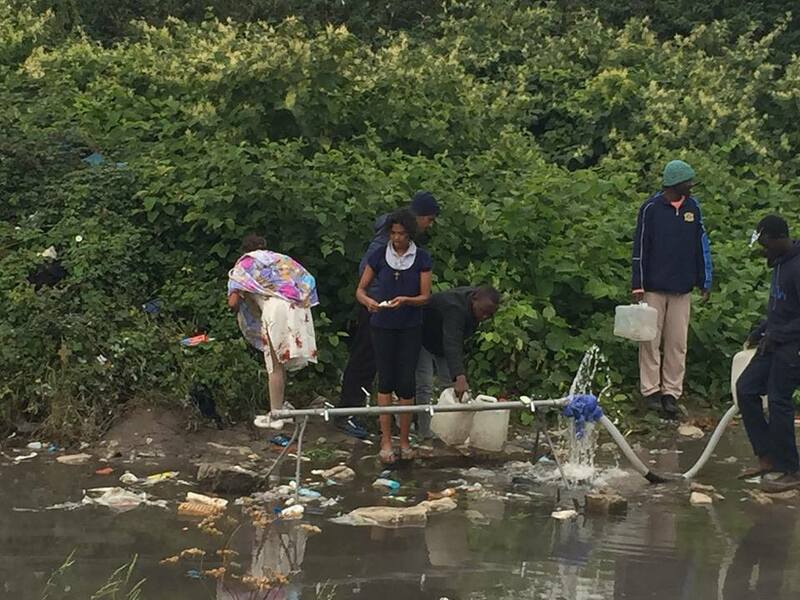 Despite living in such de-humanising conditions, they retain their dignity and their humanity. Second day in The Jungle. Police blockaded both entrances so we walked around the perimeter and through the bushes to get in. Tents are dotted everywhere. New structures being built constantly. Restaurants are calm, clean, food is good. We’re running the film making programme from inside an Afghan cafe called AFG Flag. Twelve film making students arrived today. We discussed how and why to use close ups, mid shots and wides. While they were filming their shots the rain started and two students hurried left to put up their tent. They had just arrived from another camp closer to the town, which the police had evicted them from earlier that day. Most of the men are gentle, polite. They believe they will be in Britain soon. Faced with the real possibility they may still be here in winter, I’m not sure what would happen to their spirit. Conditions are beyond basic. Taking a cold shower requires 2-3 hours of queuing. Most washing takes place from taps poking out of the ground. In discussions, the film students tell us plainly, no human being should live like this. I finally resigned myself to using the toilet and it was putrid. Walking back to the car as the sun sets, groups of men have begun their 3 hour trudge to the train where they’ll try to jump on. It’s pouring with rain by now. I’m soaked after only 10 minutes. The deprivation is unfathomable. Third day in The Jungle. Chaos. We managed to start on time today, but by lunchtime confrontation had erupted with the police and the walkway outside our tent cafe was filled with tear gas. One student, Ahmed, jumped up, grabbed a phone and headed to the front line to film. The rest of us were herded to the back of the camp by film tutor, Osama Qashoo. We sat for an hour in a larger tent that serves as a local bar. Beer cans lay in a pile outside the tent, while cotton drapes emblazoned with Bob Marley’s face hung across the inside wall. We sat at a table and watched footage shot by Abdul Rahman of the queue for camp showers. Unprompted, Moustapha began singing a hauntingly beautiful Arabic song about life’s struggles. Back at the tent cafe we were told Ahmad had been injured by a tear gas shot and taken to a local Calais hospital. Osama spoke to him as he was being discharged and he’s okay. Another student, Abdu, had also filmed the scene. The team worked together to edit Abdu’s footage and the report they made is below. Tomorrow they will add voice-over explaining what happened, and subtitles so English-speaking people can understand. Fifth day in The Jungle and the Muslim celebration of Eid. Although there were moments of joy today, the camp resonated with a heavy sadness. Usually, this is the time of year for celebration and family, but in The Jungle the rain fell mercilessly.